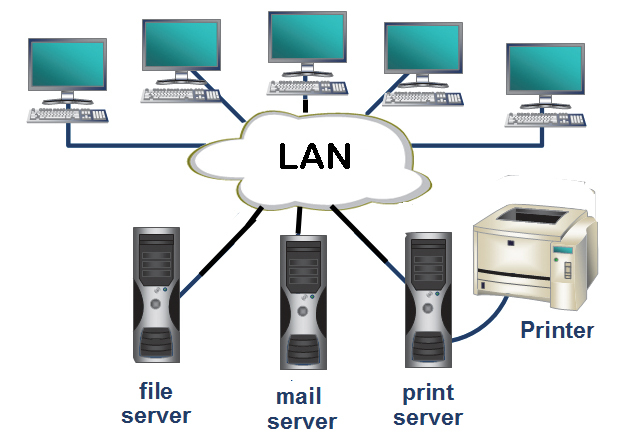 A local area network (LAN) is a small network of computer. It is a network of computers within a small area like room, building, or colleges. Nowadays instead of cables, wireless media are used as a data transmission channel. LAN, where wireless media are used, is known as Wireless Local Area Network. It is larger network than LAN. Metropolitan Area Network (MAN) is a network of computers within a city or between neighboring cities. Big companies like banks, offices etc use MAN. In MAN, cables and unbounded communication media are used as the transmission channels. 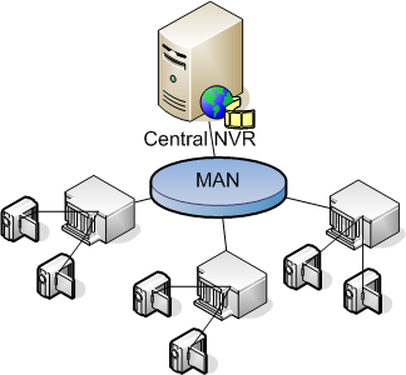 A wide area network (WAN) is a very large network of computers. WAN is a network of computers in a wide geographical area such as country, neighboring countries, continent etc. A WAN can be formed by joining many LANs and WANs. The Internet and Intranet are the WANs. Computer network is classified into three category. They are Local Area Network, Metropolitan Area Network and Wide Area Network. A local area network (LAN) is a small network of computers. Metropolitan Area Network (MAN) is a network of computer within a city or between neighboring cities. A WAN can be formed by joining many LANs and WANs. In MAN, cables and unbounded communication media are used as the transmission channels. What is a LAN (Local Area Network)? A local area network (LAN) is a small network of computers that are relatively near to each other within a small area like a room, building or within a short distance from wire or wireless media. The LAN where wireless media are used is known as Wireless Local Area Network (WLAN). List the different types of Network. Explain them shortly. LAN is a small network of computers within a small area like room, buildings, and campus. In local area network, the cables are used as the transmission channel. Nowadays, instead of cables wireless media are used as the transmission channel. A MAN is a larger network of computers than the LAN within a city or in between neighboring cities. A MAN can be formed by joining two or many groups of LAN. Especially big companies, banks, offices etc... use MAN to connect with their branches. In MAN cables and unbounded communication, media are used as the transmission channel. A WAN is the very large networks of computer in a wide geographical area such as country, neighboring countries, continent and neighboring continents. A WAN can be formed by joining many groups of LANs and MANs. Especially international organizations, banks, companies etc. use WAN to connect their branch. The Internet and Intranet (built for one particular organization and are private) are the WANs. What is the full form of WAN? Which of the following is a network of computers within small area like room, building, or colleges? In which network cables and unbounded communication media are used as the transmission channels? Which of the following is the type of computer network? Are there any other kinds of network? Any Questions on 'Types of Computer Network '?